Geoff Domoracki is the co-founder and CEO of Data 2.0: producers of DataWeek, API World, and DeveloperWeek. A philosophy major turned tech entrepreneur, Geoff lives in the cross-section of philosophy and technology. Geoff was formerly the co-founder of Techweek, the largest Midwest startup & technology conference, as well as a consultant for investment firms such as Lightbank, the venture capital firm behind Groupon. He enjoys curating and moderating conference talks around the API ecosystem, democratizing data, and thinking of the web as an open database or “read-write web”. In his spare time, he’s usually training for an Ironman triathlon, dabbling in programming languages, or reading post-structural philosophy. 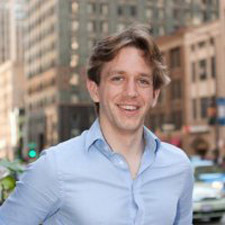 Jonathan Pasky is the co-founder of Data 2.0. He is also the co-founder of Techweek and a patent attorney and principal at Pasky IP, a boutique intellectual property law firm. Previously, he was Chief Legal Officer at FanFound, a Chicago-based music startup. 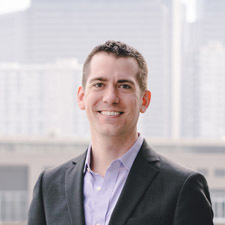 Jon is a mentor at Excelerate Labs, on the Board of Directors of the Chicagoland Chamber of Commerce, and has served as a judge for numerous competitions, including SeedCon (University of Chicago Booth School of Business) and the City of Chicago’s Small Business Competiton. Additionally, he has served as a guest lecturer at DePaul University. Jon delivers legal and business development expertise to clients and teams, bringing insight to startup strategy regarding innovation and technology. 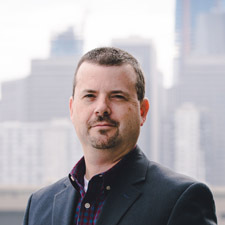 Patrick is a 24 year passionate veteran of the trade show and conference industry – and has spent time honing his craft with Diversified Expositions, Advanstar Communications, Imark Communication, Questex Media, 1105Media and most recently Informa Life Science Conferences. 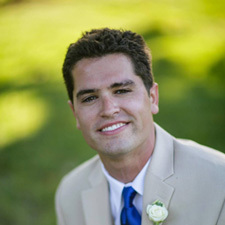 Patrick has held many positions required in the development, sales and production of large and small scale tradeshows and conferences and has excelled at meeting and exceeding sales revenue goals through individual contribution, thoughtful product management, as well as sales staff management. Patrick’s career goal has been to learn and excel at all aspects of event industry – to increase sales and growth opportunities for his group and company – and looks forward to the new chapter at Data 2.0. When not thinking about events, Patrick spends his time with his family in Milford, Massachusetts either skiing, playing golf or taking the family’s Irish Jack Russell Finn for a walk. Sara Morris is the head of operations at DevNetwork where she works to develop and conceptualize the company’s conferences and events. In this position, she ensures each conference is tailored to its intended audience and delivers exceptional ROI for sponsors. 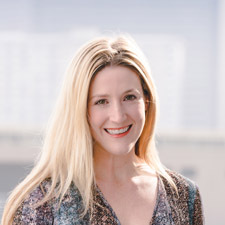 Previously, Sara lead field operations for Sunrun, a residential solar company. Additionally, she has extensive knowledge in the political arena as she was a press secretary for representatives and a program manager for a multi-million dollar D.C. based transportation lobby association. An Indiana native, Sara came to San Francisco in 2014 by way of Washington, D.C. She graduated from the University of Kentucky with a Bachelor’s in Business Administration. Emily is the Event Operations Coordinator at DevNetwork. She is responsible for providing support to all speakers, sponsors and exhibitors. 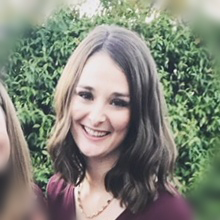 Prior to joining DevNetwork, Emily worked as the Marketing Coordinator for the El Dorado Hills Town Center, where she planned large community events and provided local business owners with marketing services. Emily graduated from Sonoma State University in 2014 with a B.A in Communication Studies with an emphasis on writing and Public Relations. As a Bay Area native, Emily is excited to return to the Bay Area’s tech industry, where she previously worked with Antenna Group, a tech and energy Public Relations Firm in San Francisco. Robert is a Bay Area transplant from North Carolina. He moved to San Francisco in 2012 and is grateful to still be able to call San Francisco his home. Since, he’s worked in Business Development at various start-ups in San Francisco, including Trulia (acquired by Zillow in 2015), and VerticalResponse (acquired by Deluxe Corp) in 2014. Robert also spent time in sponsor sales at a conference company, who’s portfolio includes Black Hat, Interop, Game Developers Conference (GDC), InformationWeek and HDI. Robert is a technology enthusiast and customer evangelist. He graduated from the University of North Carolina Wilmington with a B.S. Degree in Finance. On his time off, he enjoys running the endless amount of trails in Marin County, travelling, and riding his motorcycle up Highway 1.